Produce retail and POP signage and event displays with vibrant color and eye-catching image quality. This matte polypropylene provides excellent versatility and value across a wide range of indoor and outdoor applications. And it's recyclable.Maintain peak productivity. 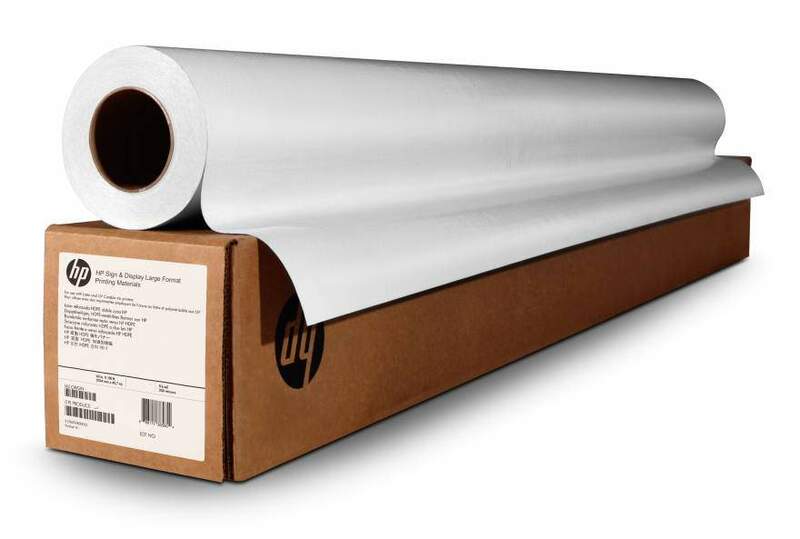 HP Everyday Matte Polypropylene is easy to use and handle, whether you're doing a quick print run or large production runs. Post-print processing is smooth and easy with this tear-resistant substrate.To provide durable, long-lasting prints, Original HP printing materials are designed together with Original HP ink formulations. Prints achieve indoor, in-window display permanence up to 1 year; outdoor display permanence up to 6 months.